Description: Fierce Beauty is a celebration of tigers, leopards, lions, ocelots, and other wild cats that inhabit the Institute of Greatly endangered and Rare Species (tIGeRS), a wildlife preserve in myrtle Beach, South carolina. the institute's fifty acres are home to more than 100 rare animals, from ligers (a hybrid cross between a male lion and a tigress) that stretch nearly twelve feet long to cheetahs capable of running seventy miles per hour. 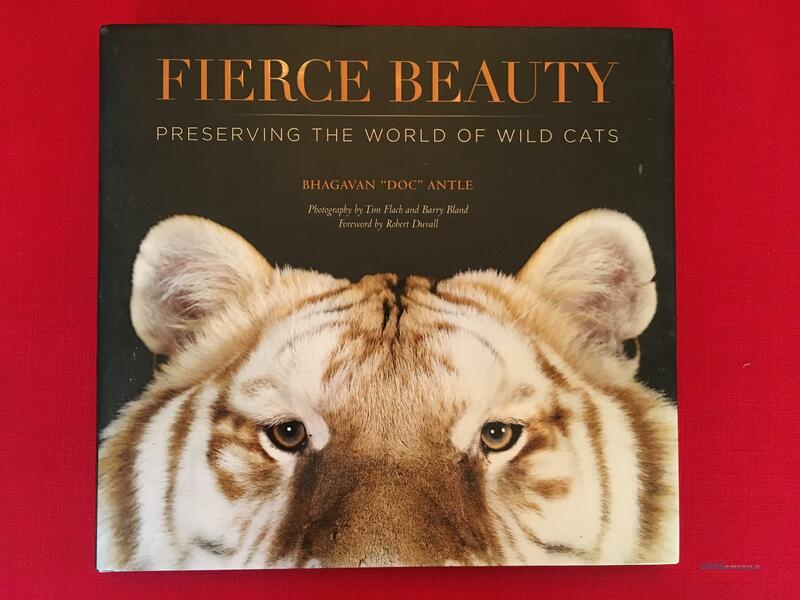 Fierce Beauty (TIGERS Hardcover) : Preserving the World of Wild Cats by Bhagavan "Doc" Antle. Photography by Tim Flach and Barry Bland. This hardcover book was published in 2012. It is in excellent condition.